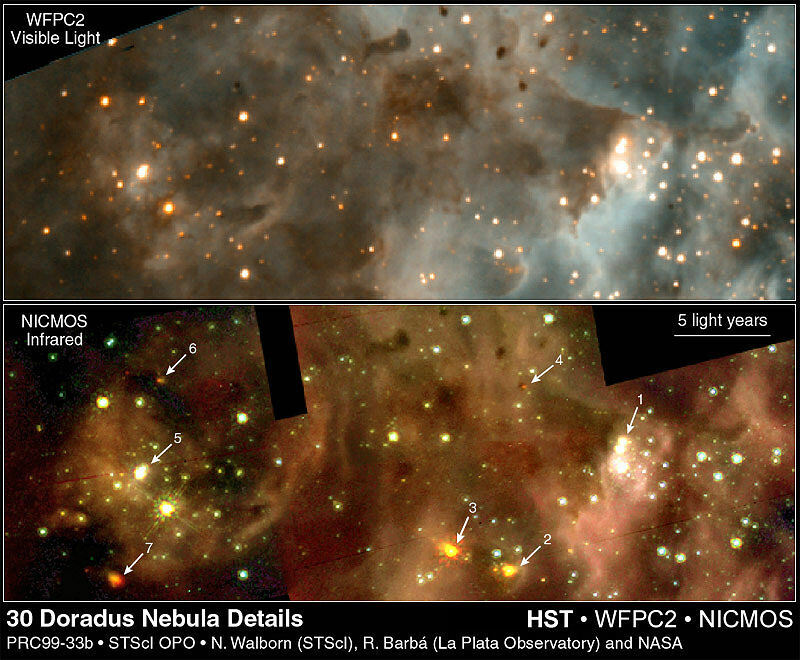 Numbers 2 and 3 also pinpoint newborn stars or stellar systems. Number 4 is a very red star that has just formed within one of several very compact dust clouds nearby. Number 5 is another very young triple-star system.